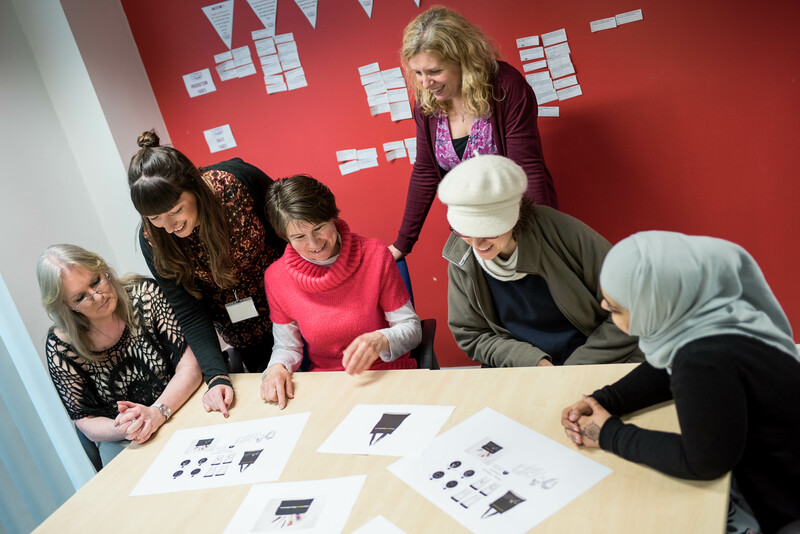 At The Millin Charity we have a real passion for helping women who are unemployed, and not really sure how to move forward, to discover enterprise as a route to learning new skills as well as also, possibly, as a way to become financially independent through self-employment. 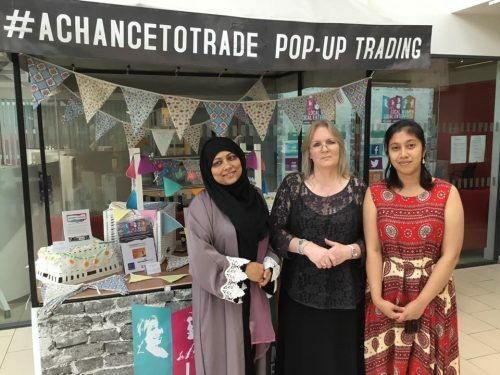 We are now the proud owners of our own market stall which local women can borrow to try out selling their own products and services as a pop-up trading experience, and for volunteer members of our Women’s Trading Collective the stall is completely free to use, so they can trial trade without worrying about the cost of hiring and insuring a stall themselves. 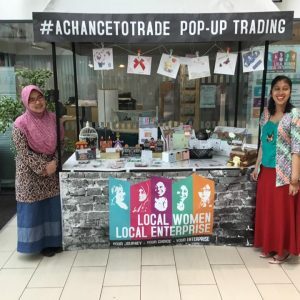 At the moment women will be getting #AChanceToTrade every Wednesday lunchtime outside our centre on the Ground Floor of The Beacon, and we’re looking to local businesses, customers of The Beacon cafe and members of the local community to give the women their support and encouragement and, hopefully, to buy some of the wide range of products and services on offer. You can see who’s having #AChanceToTrade on our What’s on calendar. We’re also on the look-out for more busy locations to set up our stall around Newcastle and Gateshead in the near future, so if you know of the perfect place please let us know! 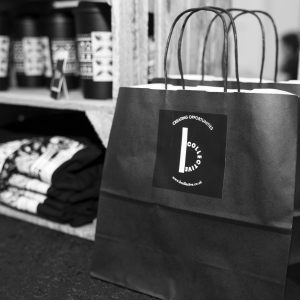 We are so excited that our Women’s Trading Collective’s first range of products are now ready to buy. 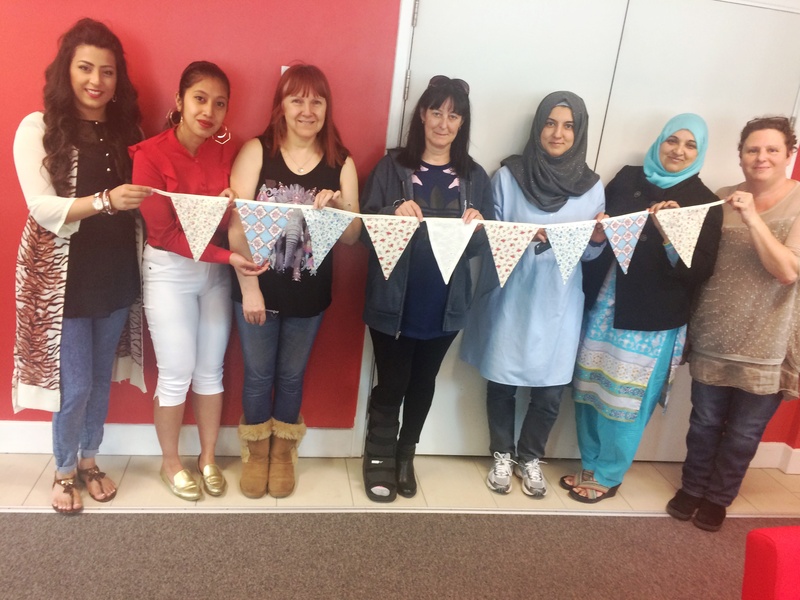 Our member volunteers have worked tirelessly to produce beautifully hand crafted bunting – in both fabric and crocheted designs. 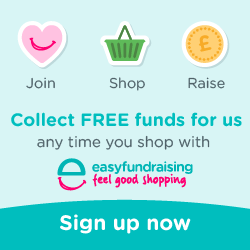 If you would like to support this inspiring group of women on their journey to financial independence please give your support through your purchases – you can buy the bunting on Etsy or direct from The Millin Charity. 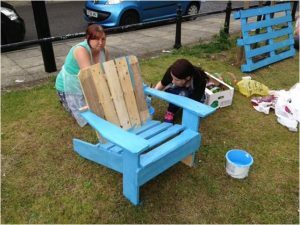 A successful pilot in Gateshead! With support from Gateshead Council and Big Lottery, and newly established partners in local support organisations including the Jewish Community Council of Gateshead, the Comfrey Project and Tyneside Women’s Health, we are proud to have almost completed our first pilot project to roll out Local Women Local Enterprise Learning and Development Programme into Gateshead, and to announce that the project was a huge success all round. 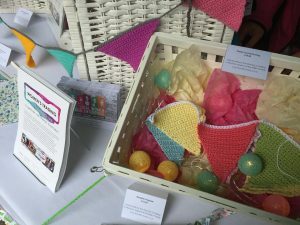 During a relatively short time since last Autumn, 57 women have participated in the pilot project, getting involved in ‘Let’s Get Creative’ workshops, ‘Have a Go at Enterprise’ and ‘Going to Market’ courses, pop-up trading stalls, and a fantastic Spring Craft Fair held at the Comfrey Project. 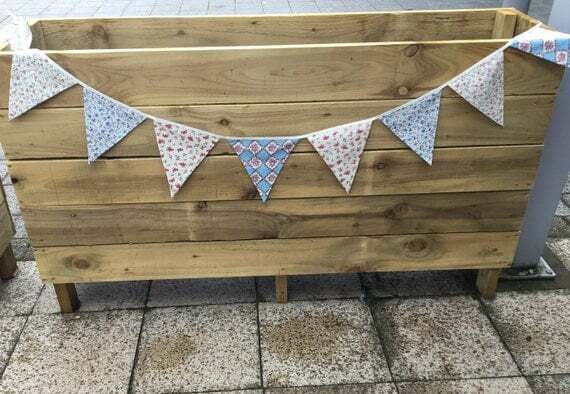 We’re now really excited about our final event which will be to support Gateshead women to sell their own products and services at a Summer Craft Market at The Comfrey Project in Gateshead on Sunday 16th July. Women who have participated in the pilot have already made some amazing progress, with one having already started a business and 10 more in the process of setting up. 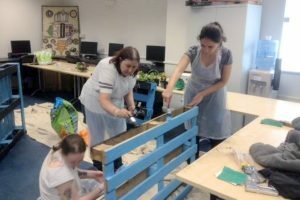 Two women have also found employment after being economically inactive for quite some time, and many are now actively pursuing further training opportunities. Everyone involved has said that the project has made a real difference to their confidence, their social networks and their understanding of how self-employment could make a difference to their lives. 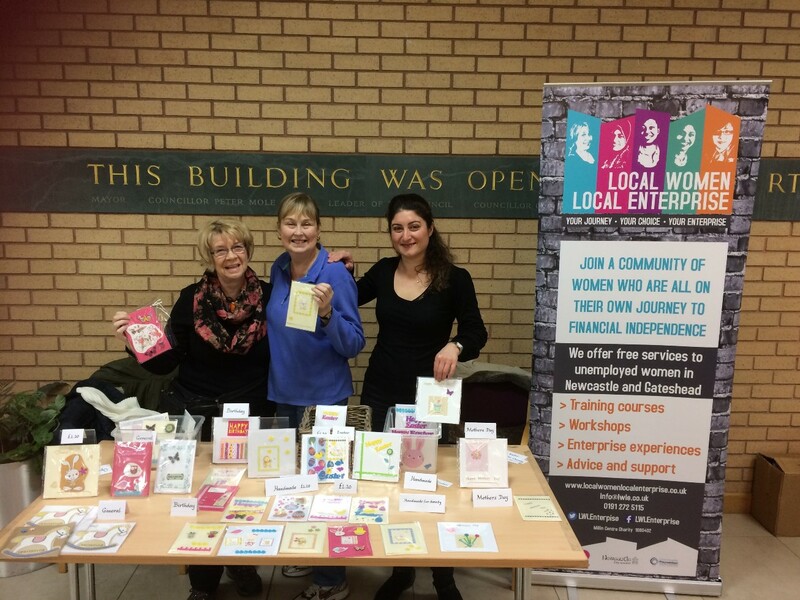 Success of the pilot is also evident through the increasing demand for us to continue to work in Gateshead in the future, and from the positive feedback we’ve had from our partners, confirming that Local Women Local Enterprise fills a gap in the local area and that it’s a valuable resource that would continue to make a difference in the future if the pilot was to continue. 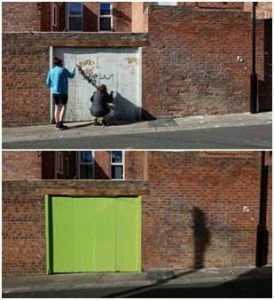 Watch this space as we look for ways to fund Local Women Local Enterprise learning and development services in Gateshead in the future!